Celebrate the artwork of Ruth Lercher Bornstein — renowned author/illustrator of Little Gorilla and numerous other children’s books. 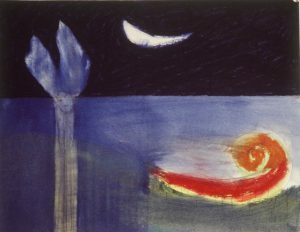 Ruth is a dedicated and widely exhibited painter and visual artist. Street parking available in the neighborhood. If needed, additional parking at the supermarket lot at the SE corner of Lincoln and Ocean Park Blvd., approximately four blocks from Ruth’s home.